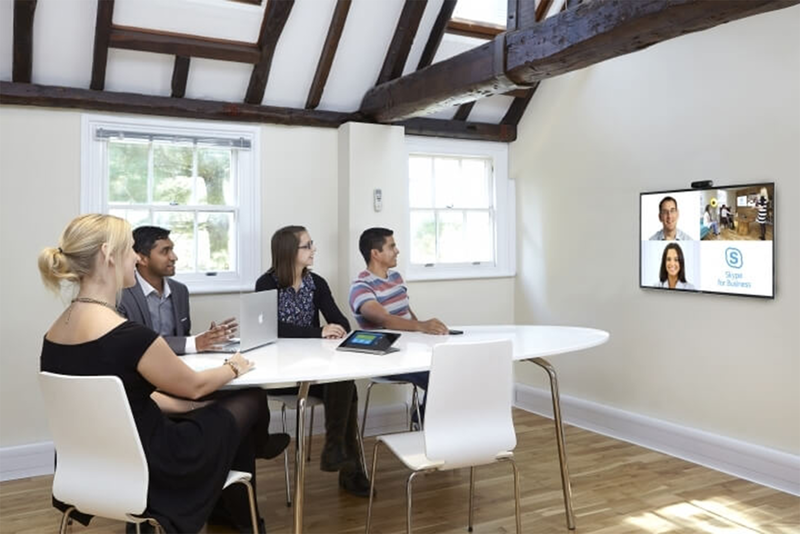 How do you make your meeting rooms truly effective collaboration spaces? How to transform your meeting spaces into areas where collaboration and communication is productive and efficient. How to ensure your meeting room refurbishment remains cost-effective and achieve ROI on your investment. 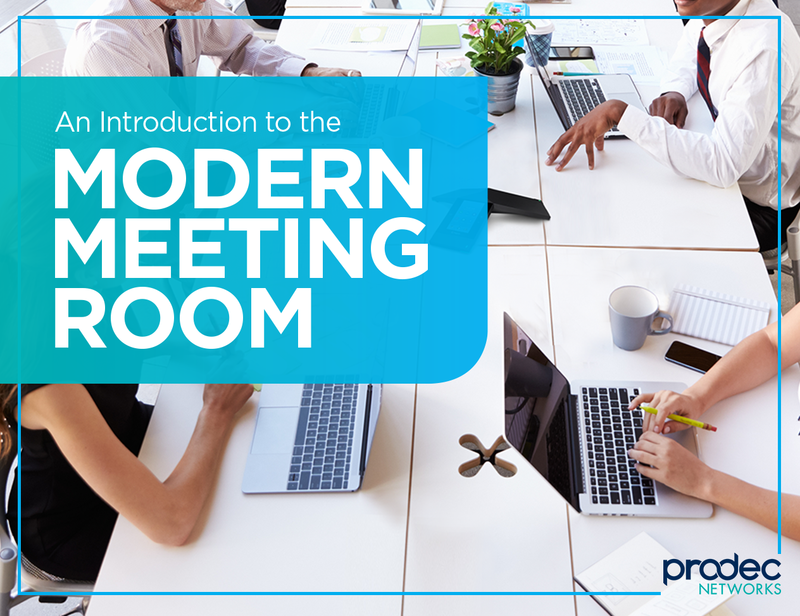 The hot technologies that are revolutionising a meeting room near you. Simply fill in the accompanying form to receive your free eGuide or scroll down to learn more. Great meeting room environments act as collaboration hubs where the best and brightest can work together to achieve. You'll learn how simple-to-use communications tools can be combined with interactive workspaces to create an environment where teams can work together without being restricted by the location of its participants. Huddle, meeting or board room? Different types of meeting space call for different technologies. 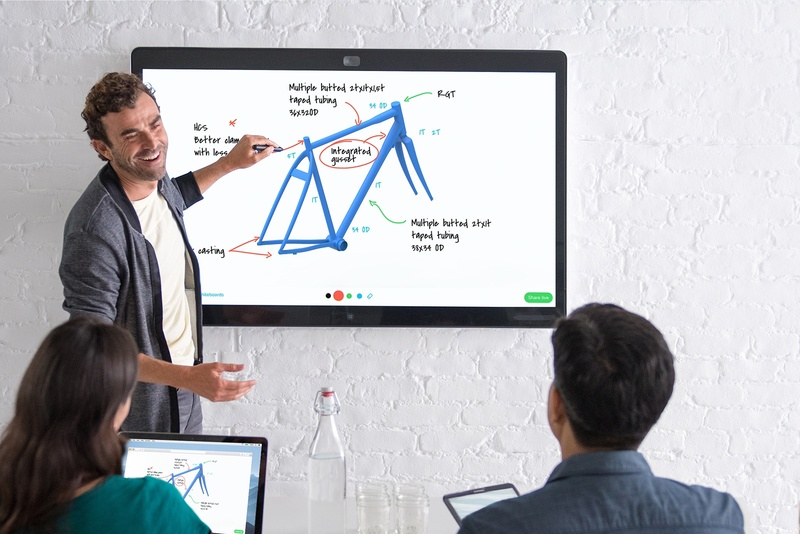 Discover how you can utilise a variety of interactive panels and integrated collaboration and communications tools in different meeting environments to achieve a range of business goals. 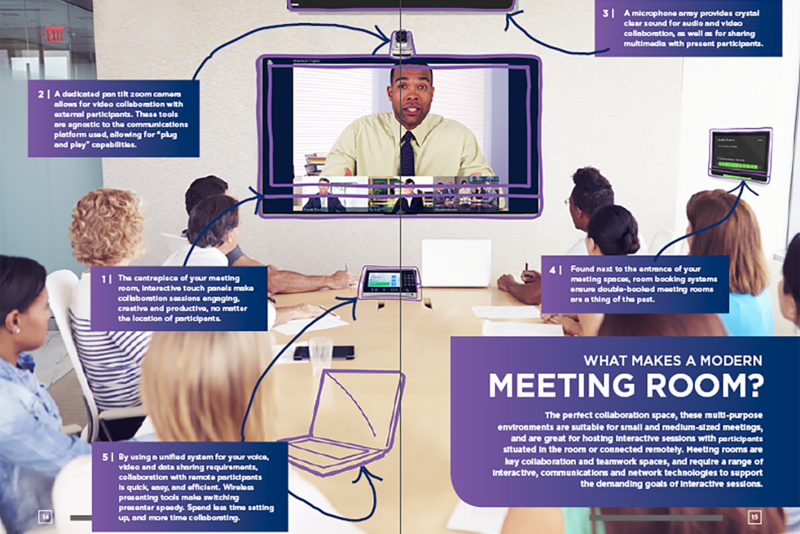 Keeping your communication and collaboration tools simple to use will increase uptake and reduce meeting setup time. 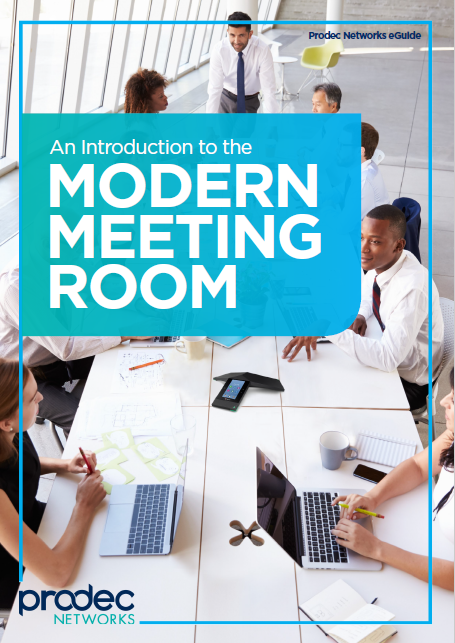 Learn how to integrate your meeting room's voice, video and data collaboration tools onto a vendor-agnostic plaform that allows participants to use their preferred communications tools, including Skype For Business, StarLeaf and their business phone system.